Pieris brassicae, the large white, also called cabbage butterfly, cabbage white, cabbage moth (erroneously), or in India the large cabbage white, is a butterfly in the family Pieridae. It is a close relative of the small white, Pieris rapae. 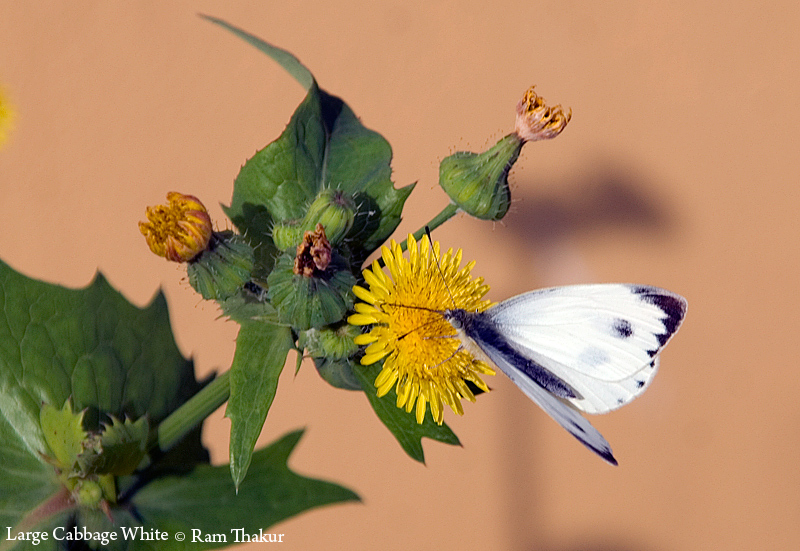 The large white is common throughout Europe, North Africa, Asia even through the Himalayas. The flowers are helping tp frame the butterfly. The point of view is showing the details of the Large Cabbage White butterfly. The light is bringing out the beauty of the colors. Have a nice day.